From Little Rock to the many places along the Arkansas State Highway, drivers are on the move every day. The drivers Arkansas are rewarded for good driving by many companies providing car insurance in Arkansas. 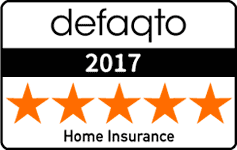 With our free quote, you can choose the best insurance for you and your family. The required Bodily Injury Liability coverage, in case of injury, protects your assets if you are found at fault for an accident that is covered. Certain costs associated with bodily harm are covered under this category. The required Property Damage Liability coverage provides protection of your assets when it comes to damage caused to the property of another person. It is important to note that many auto insurance companies offer higher coverage amounts, and also other types of insurance. In order to protect yourself and your loved ones in case of an accident, you may want to consider other types of coverage. Comprehensive – This insurance protects you in cases of damage not caused by collisions. This often includes losses arising from theft, vandalism, and animals. Collision – This insurance covers damage to your vehicle from a collision with another vehicle. It also includes coverage for collision with other objects. Check with your auto insurance company to see what their coverage insures. Personal Injury Protection (PIP) – This insurance is also sometimes referred to as no-fault insurance. It helps protect you regardless of who was at fault in the accident and can cover you in accidents that result in lost wages, medical payments or death. If you do not have medical insurance that covers auto accidents, you may want to consider this coverage. Many people that have car insurance in Arkansas have it either way, as it provides additional protections. Within PIP, you can choose which parts you want to purchase and be covered for. Uninsured Motorist Coverage and Underinsured Motorist Coverage – In the event that the other driver is deemed to be at fault, and they do not have insurance (or the insurance limits they have are not enough to cover your damages), this coverage provides protections. This can include property damage, bodily injury, and personal injury protection (PIP) when the accident is caused by someone that is not insured or is underinsured. Rental Reimbursement – This insurance helps covers the rental costs of another vehicle while your car is being repaired due to an accident. Roadside Assistance – Some insurance companies have this insurance as an add-on to help with towing costs. This coverage sometimes has other assistance related perks to it as well. Car insurance rates can vary based on where you live, with the eastern side of the state of (around the Mississippi River) being more expensive than the west side. In addition, the area that you live in, rates can be affected by age, your driving record, and the kind of car you drive. There are other variables as well, we are happy to answer any questions you have. Due to the number of variables, auto insurance coverage can be quite different. Either way, discounts can help bring the cost down. In addition to discount good driving, car insurance discounts are available for things like anti-theft devices and for having multiple cars on your insurance plan. We can see if you qualify for discounts that will help you save money as part of our free quote! Did you know: Arkansas is one of the 31 states where you can show your proof of insurance on a smartphone if you get pulled over. Nobody wants to pay hefty fines or lose their ability to drive because their license was suspended. It’s great that with by paying attention to your auto insurance you can prevent these penalties. The penalties in Arkansas are substantial. If you are an uninsured motorist driving in Arkansas, you may be fined $500. In addition, your auto registration may be suspended. You must provide proof of insurance if you are pulled over. The car insurance you have has an impact on your life. Finding dependable car insurance in Arkansas, the Natural State, is important no matter where your journey takes you. We can help you find the cheapest auto insurance that meets the car insurance requirements you need. Whether in Arkansas for work, college at the University of Arkansas, or play, we provide the best way to get great auto insurance.